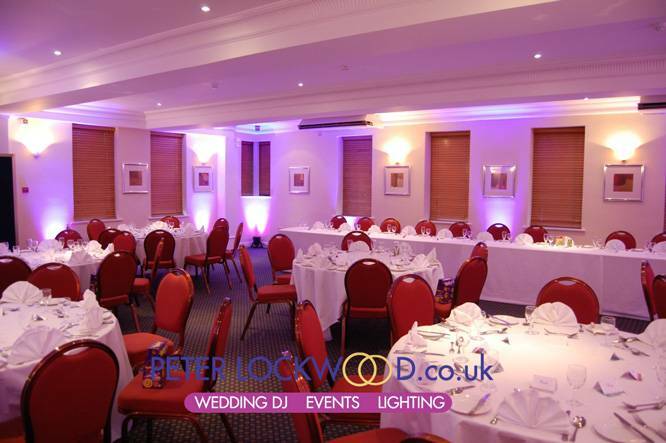 I fitted purple uplighting in the lovely intimate Crompton Suite at Hotel Smokies Park Oldham. 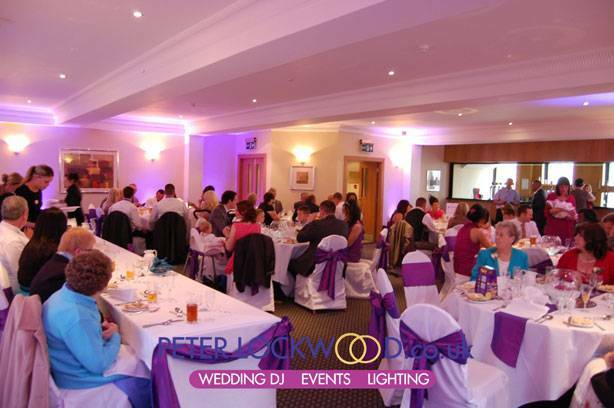 The Crompton Suite looked great with my Purple mood lighting it created the atmosphere that the bride was wanting. 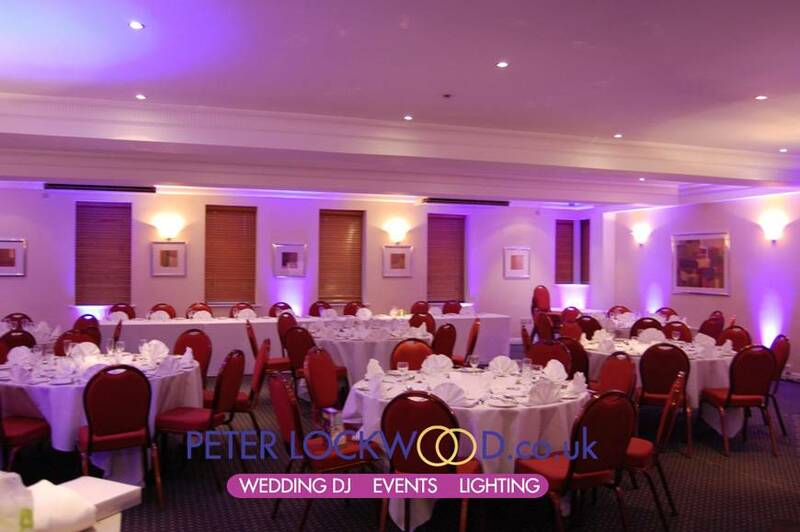 The two pictures above show the Crompton Suite in the morning during setting the room up. 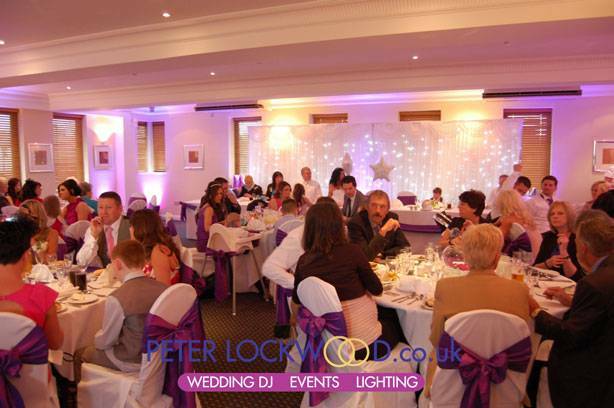 When I popped back during the Wedding Breakfast I took the two pictures above. I was working in the evening so could not take any pictures.